THE INDEPENDENT COPYRIGHT Committee has made a series of proposals to Government today that aims to provide a framework for fair use of online content. The central recommendation of the committee is the formation of a Copyright Council of Ireland created by the Irish copyright community which its says should be given legislative backing. The committee advises that its function would be to provide education and advice on copyright issues, advocate both nationally and internationally for developments in copyright procedures and work towards solutions on difficult copyright issues. Innovation and fair use: It should not be a breach of copyright to derive an original work which either substantially differs from, or substantially transforms, the initial work. Linking: Linking should not infringe copyright and, furthermore, nor should reproducing a very small snippet of the linked work. This should consist of no more than either 160 characters or 2.5 per cent of the work. Photographs: Digital watermarks and metadata within a photgraph should be explicitly protected by copyright laws. The removal of metadata should constitute an infringement. Courts: The small claims procedure in the District Court should be extended to include intellectual property claims up to the value of the standard limit of the District Court’s jurisdiction. 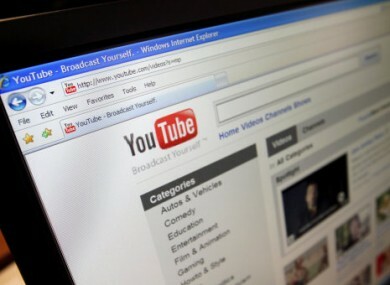 Broadcast: A new, technology-neutral, definition of “broadcast” for copyright purposes. Remedies: A full range of proportionate civil remedies for infringement of copyright, of performers’ rights, and of recording rights. The report is accompanied by a draft bill designed to give effect to the recommendations. “To a significant degree, the analogue environment in which copyright has traditionally operated is not fit to meet current realities in the online environment, ” he said. Given the advancement in social media and other channels of delivery for online content such as music, news and films, consumers increasingly expect to be able to receive legitimate content online quickly and that measures are in place to ensure that the owners of the content. Sherlock also announced also the convening of a public forum on the 9 December at the Royal Irish Academy to allow the committee to present its findings and the copyright community. Email “Proposals on new online copyright laws presented to Government”. Feedback on “Proposals on new online copyright laws presented to Government”.